On 16 January 2013, an Arbitral Tribunal rendered an award dismissing all claims on the merits of the Canadian company Vanessa Ventures Ltd in relation to its investment in a mining project in Venezuela, under a bilateral investment treaty between Canada and Venezuela. 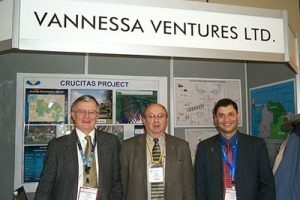 At the beginning of the 1990’s, Placer Dome Inc (“PDI”) had contracted to exploit gold deposits in Las Cristinas, in Venezuela. Its subsidiary, PDV, and a government agency, CVG, owned shares of MINCA, the company that carried out the mining activities in Las Cristinas. CVG and MINCA had signed a work contract to exploit the mine, which had prohibited the assignment of rights without the other party’s consent. A few years later, PDI sold its shares in PDV and MINCA to Vanessa Ventures Ltd (the Claimant) without CVG’s prior consent. As a result, CVG rescinded its contract with MINCA. Claimant, in turn, claimed violation of the bilateral investment treaty and sought damages of roughly US$ 1 billion. The Arbitral Tribunal first examined the question of the existence of an investment with respect to the BIT. It held that the investor must have made a “real” investment (paras. 119-124). However, in this instance, the tribunal held that the bilateral investment treaty did not require that the investment be “substantial” in order to be protected (para. 126). Moreover, the investment had to be made in accordance with the host State’s law. The Tribunal, however, stated that the laws in questions did not include any contractual obligations (paras. 134-135). An anonymous dissent declined jurisdiction, however, and found that the investment was not made in good faith. With respect to the merits of the case, Claimant had two main factual allegations: illegal expropriation and a violation of fair and equitable treatment because Respondent violated the work contract by rescinding it without going through arbitration first and a violation of full protection and security because it “failed to exercise due diligence in protecting [Claimant] from injurious acts of Venezuelan officials” (paras. 217-218). Claimant’s arguments on the merits did not succeed. First, the Tribunal ruled that CVG had legally rescinded the work contract, siding with the Respondent on the expropriation claim. In particular, it found no essential precondition to commence arbitration prior to terminating the contract, contrary to the Claimant’s claims. Second, the Arbitral Tribunal ruled that Claimant’s investment was treated in compliance with the bilateral investment treaty standards despites certain delays in the local legal proceedings suggested by anecdotal and circumstantial evidence.